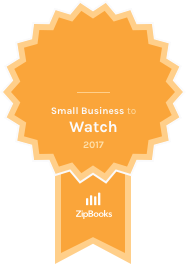 Wexford, Pennsylvania — ZipBooks is proud to recognize Secura Desktop Management as a ZipBooks Small Business to Watch for June 2017. Secura Desktop Management was selected across all small businesses using the ZipBooks platform. Founded in 2004, Secura Desktop Management specializes in creating and maintaining highly available business networks and managed systems. Clients utilize their services for IT consulting, managed services, full and hybrid cloud migration, VoIP phone systems, website design, and disaster recovery. They have offices in Pennsylvania and Ohio. Secura Desktop Management is a premier managed IT service provider that specializes in creating and maintaining highly available business networks and managed systems. Secura ensures businesses are running at their highest level of efficiency. Whether small or large, Secura works hard to protect businesses and their assets.